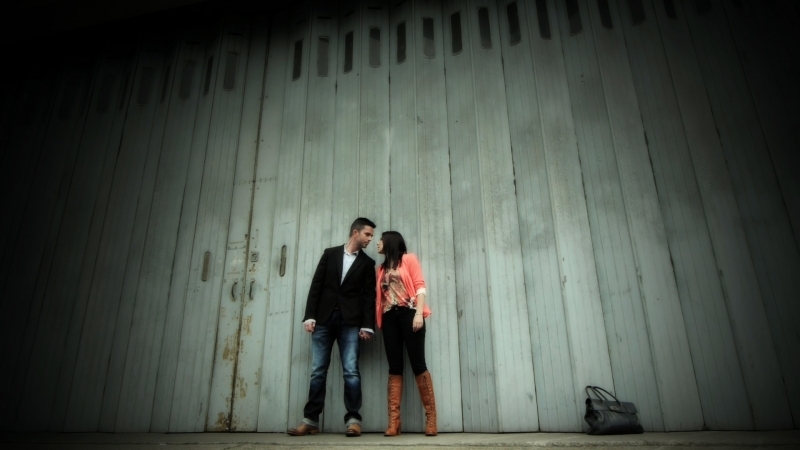 Last month we joined forces with Jamie and Lynsey from Studio Rouge and ventured out into Guildford with Claire and Chris to shoot their pre-wedding film and slide show. We all had our hearts set on some stunning sunset shots but the weather had other ideas and was very touch and go all day. Miraculously, though, the skies cleared towards the evening and we got our sunset – even though you could only see it from the top of a multi storey car park it was kind of handy since Chris quite liked to feature his lovely brand new Porsche somewhere in the film as well. We had to keep this under wraps until after their wedding as it was to be premiered during the reception. Since the two have now successfully and beautifully tied the knot at Botleys Mansion last Saturday we can reveal the results for everyone. Here is their film, for the images head on over to Studio Rouge.